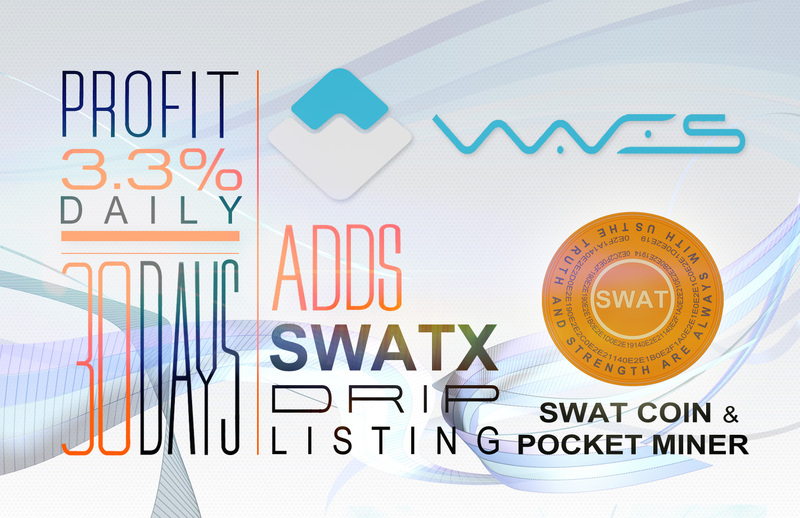 One more investor for SWATX DRIP. From Russia. Amount 65 K. We thank the (lady) investor for seeing and understanding the true value of SWAT! We appreciate you! Surely SWATX DRIP is picking up! A poster from Yuriy for SWATX DRIP. SWATX DRIP is not a HYIP.. 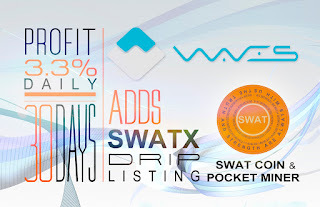 It is just a bonus program with 100% bonus for buying at a higher price and holding SWATX for a month, we are using to sell our unsold coins from our ICO.